Every great downtown is home to a great street. 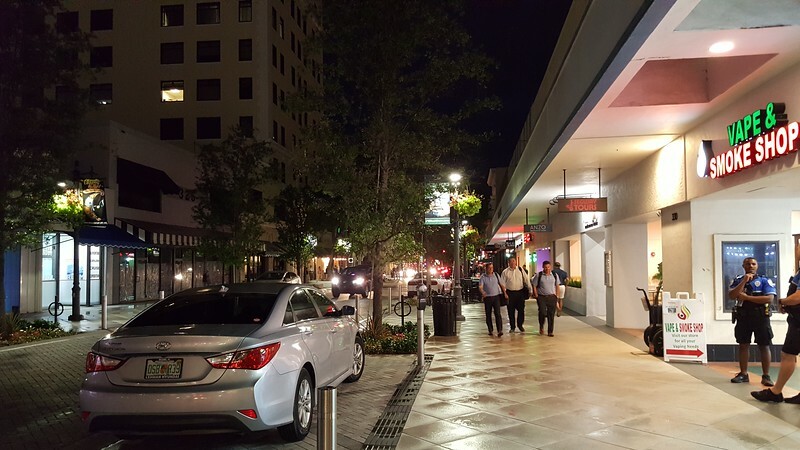 That great street is a place where pedestrians can find a large variety of retailers, restaurants, cafes and entertainment options open during weekday nights and on weekends. In West Palm Beach, that great street is Clematis Street. 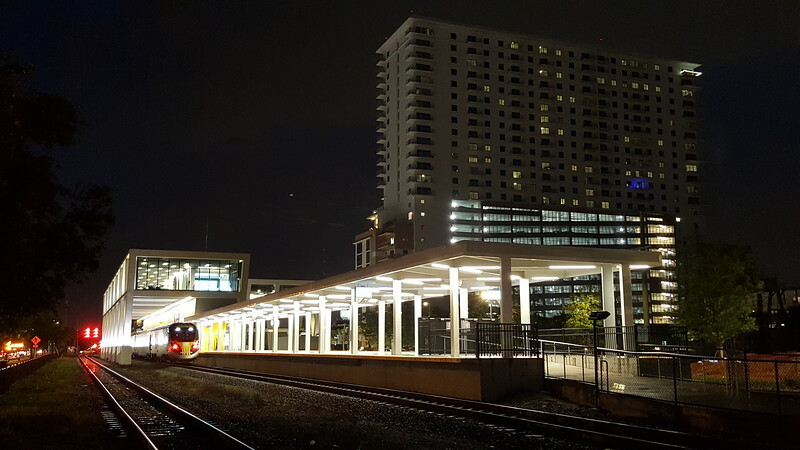 Despite a major urban redevelopment boom throughout the state, Jacksonville is a city that has lagged behind others with the revitalization of its urban core in recent years. 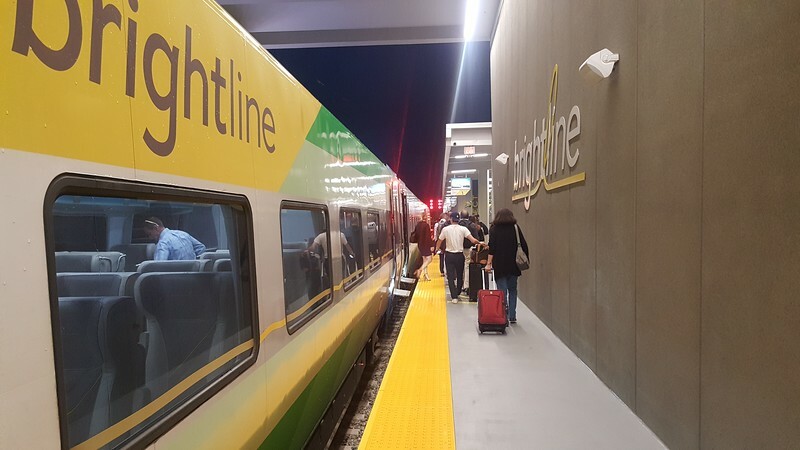 While many cities like Jacksonville has struggled in the department of downtown revitalization, West Palm Beach isn’t one of them. An up and coming pedestrian friendly destination, much of this success is due to the concept of clustering, complementing development together within a compact pedestrian scale setting. 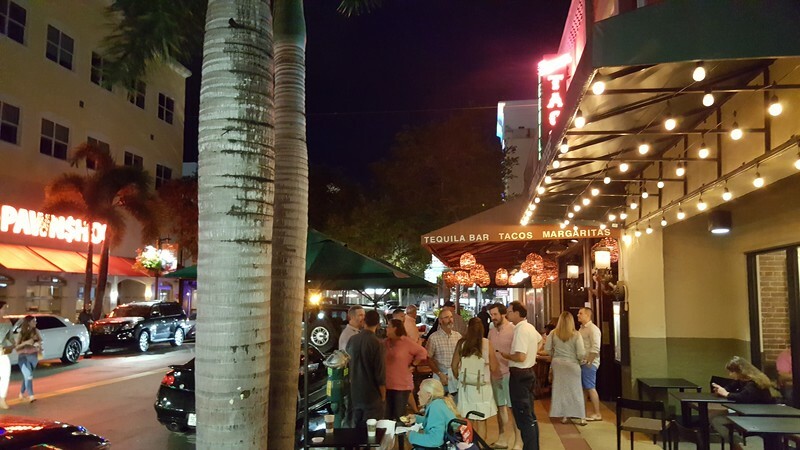 Clematis Street, located at the heart of Downtown West Palm Beach, is where a significant portion of West Palm Beach’s success has generated from. 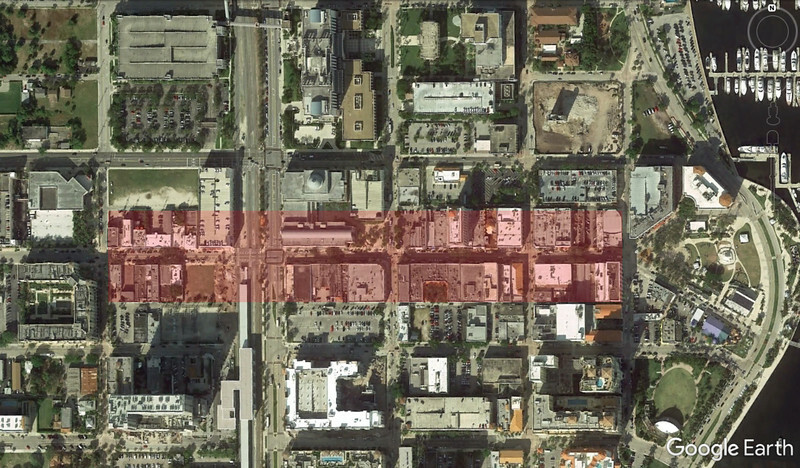 The main four blocks of West Palm Beach’s Clematis Street is highlighted in red. 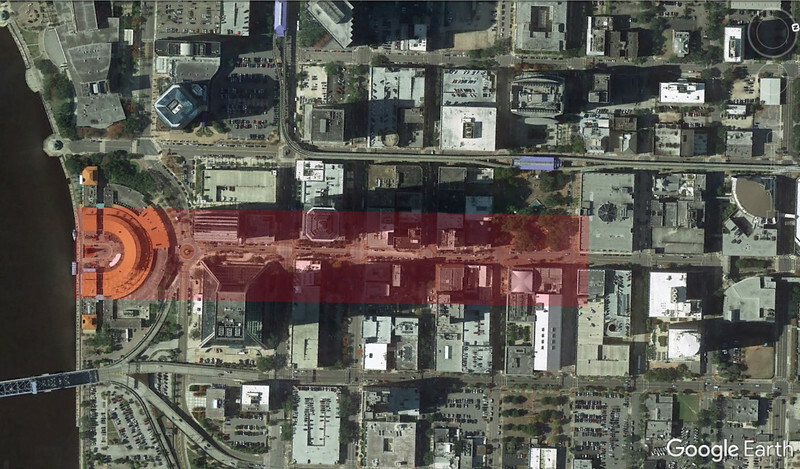 The area of space (red) occupied by the main four blocks of Clematis Street, over Downtown Jacksonville’s Laura Street corridor. The Clematis Street Historic District was listed in the West Palm Beach Register of Historic Places in 1996 and in the National Register of Historic Places in 1998. Characterized by its diverse and distinguished character of historically significant early 20th century commercial architecture, Clematis Street is home to a mix of both national brands and unique local retailers. 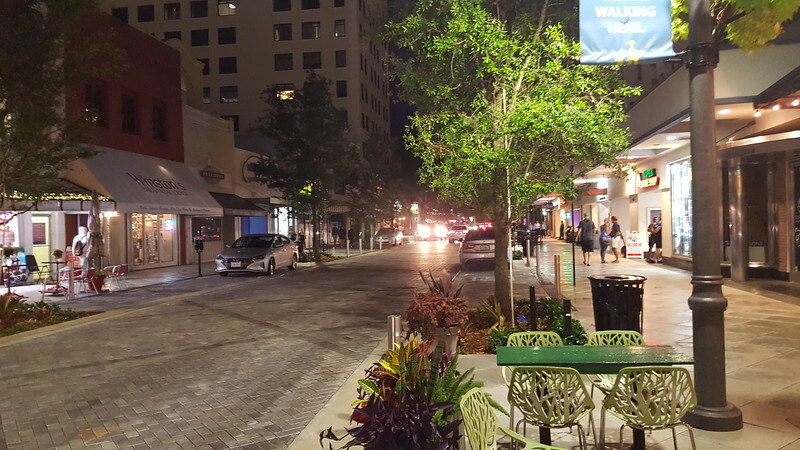 Given its appeal to a varied audience, Clematis Street has been voted top ten “Great Places in America: Streets” by the American Planning Association. For sunbelt cities struggling to understand that concept of clustering, complementing uses within a compact pedestrian scale setting, here’s a collection of mid-week evening photographs illustrating what it looks like visually.